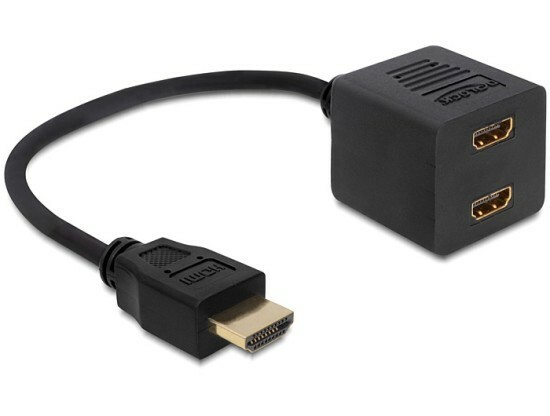 This HDMI High Speed Ethernet splitter by Delock complies with the latest HDMI standard and combines fast data transfer as well as audio-/video- and internet connection. It splits the signals in order to connect e.g. a PC or DVD/Blu-ray drive to a monitor and TV. The output devices can be used at the same time or separately. Furthermore the HDMI-A male interface is compatible to its forerunners so that you can still use your previous devices.